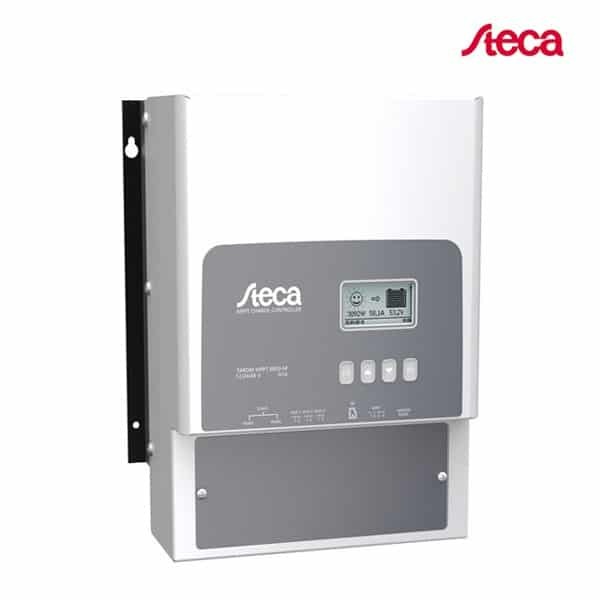 The new design for the Steca Tarom MPPT 6000-S Solar Charge Controller 12-24-48V sets new standards in this power class. The graphic display informs the user of all important system data. The data are saved by the integrated data logger. Thanks to the significantly improved state of charge determination, the system is optimally controlled and the batteries are protected. The Steca Tarom MPPT 6000-S Solar Charge Controller 12-24-48V charge controller is the ideal choice for larger systems at three voltage levels (12 V, 24 V, 48 V).